Falling back on the common casual combination of T-shirt, shorts, and flip flops is probably the best way to combat humidity on your days off, but that doesn’t mean you have to sacrifice style for the sake of comfort each time the weekend rolls around. 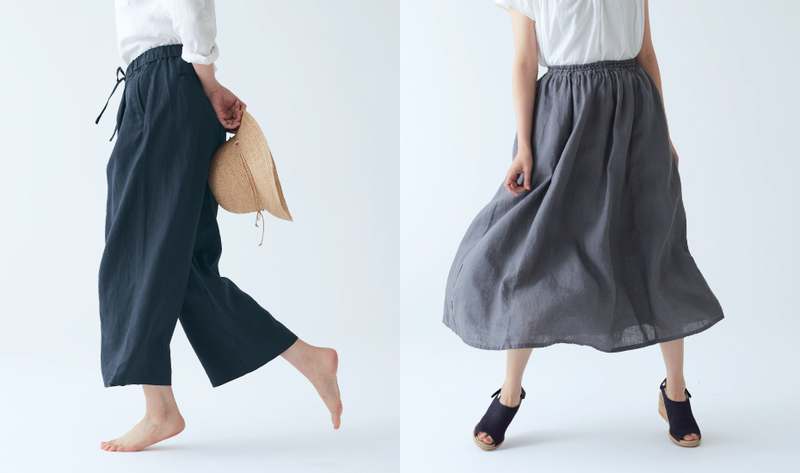 Allow Muji’s latest linen collection to demonstrate how you can easily nail both. Though it’s a natural material that’s thicker than cotton, linen is actually made of resistant flax fibres that are actually hollow, so it’s great at wicking away moisture, allowing for a quicker drying time to keep your body cool in soaring temperatures. It absorbs and releases moisture fast, which is why this breezy fabric also has the ability to prevent bacterial growth, so there’s no chance for body odour to ruin your picnic date. To perfect the texture of its French linen, Muji has given the shirts in their Spring/Summer collection a pre-wash to soften and add comfort to your movement. For women who prefer more modesty, the Japanese brand has also upped the fabric density on their tops so they’re less sheer, and there are new styles to go around such as short-sleeve (launching end March) and ¾ sleeve blouses to help channel those chill weekend vibes. The men’s section has also been given a little renovation by way of a straight body-line shirt cut that allows ventilation for that breezy, refreshing feel. Ahead, our picks from the latest linen collection. If you identify as a minimalist, you’ll appreciate Muji’s clean, classic aesthetic that adapts to your closet and lifestyle. The brighter pops of colour, accompanied with the brand’s signature relaxed cuts will surely ease their way into your wardrobe for a quick update. We’re loving the bottoms in particular – those elastic and drawstring waistbands are ready to make room for our post-buffet food babies. 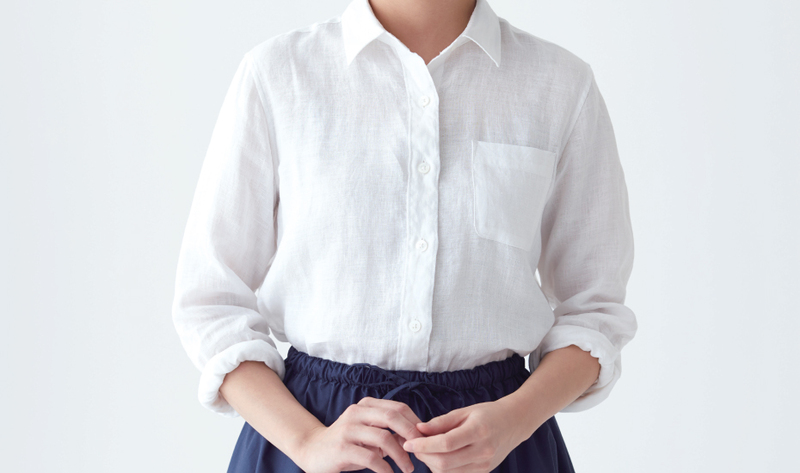 The softly wrinkled nature of Muji’s updated linen shirts will lend a touch of effortlessness to your outfit, while their revised straight silhouettes will keep you looking polished for any occasion. Of course, we also appreciate the 2 new colours additions in the lineup to help switch things up a little. With its crisp but breathable texture, French linen is the ideal fabric for our hot and humid weather. Plus, the more you wear and wash it, the more comfortable it will be as the fabric becomes more supple and nicely lived-in. See, we did mention how effortless it is. Guys can turn to the casual linen trousers for a comfortable weekend ensemble as well, perfect for lounging in. Muji Linen Collection Spring/Summer 2018, $49 to $79 for the ladies’ collection and $49 to $129 for the men’s collection. Available from 1 March at all Muji stores. Enjoy 10% off the Linen Garment Series now till 4 April!